Exterior color Sand Metallic over light tan interior. The top is original and in impeccable condition. No creases whatsoever. The cashmere roof liner is impeccable as well. The interior is all but perfect; the piping on the left side of the driver's seat shows some small wear. The back seat is as new, never really sat in at all. Everything works mechanically. The car shifts perfectly and the engine purrs like a kitten. Suspension is tight, no rattles, squeaks or unseemly noises or sounds. A/C is cold; car does not leak or overheat. Starts immediately every time. Engine compartment flawless. Brakes have been recently replaced. Wheel bearings packed and tightened last week. All hoses and hydraulics functioning fine and without issue. Avon tires are in excellent and recently replaced, not dry rotted at all. 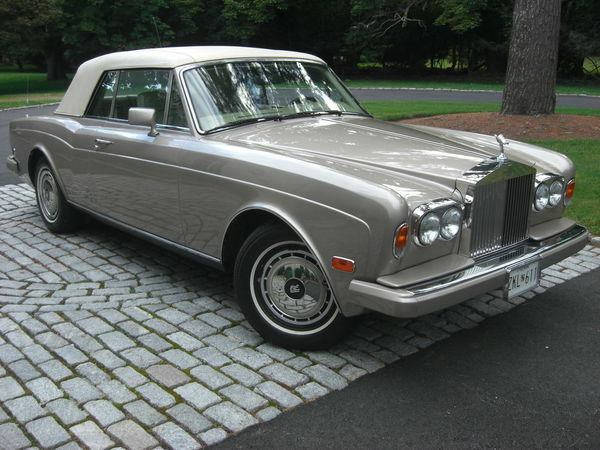 You will look like the million dollar person that this car connotes at every angle, all the time. Draws long unabashed stares and thumbs up greetings every time you take it out.